Today we are going to be doing your CrossFit Totals . The CrossFit Total is the sum of the best of three attempts at the squat, the press, and the deadlift, the three most effective lifts in existence for developing and testing functional strength. This will act as a great benchmark to measure your strength as you journey though CrossFit. 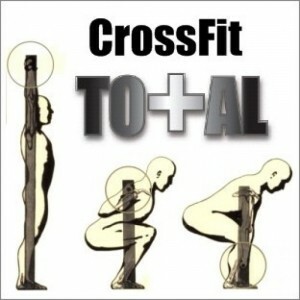 Full rules of the CrossFit totals can be found in the following link.